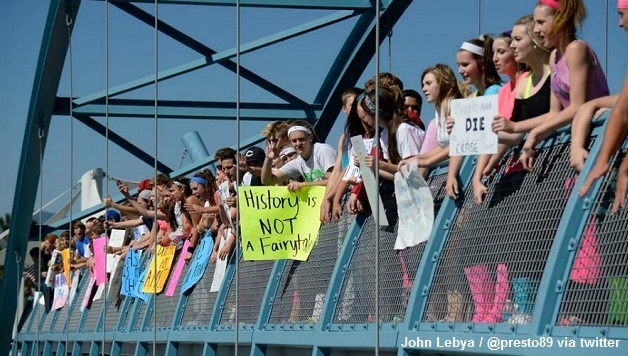 A wave of student walkouts and teacher protests pushed back attempts to literally rewrite history in Jefferson County. 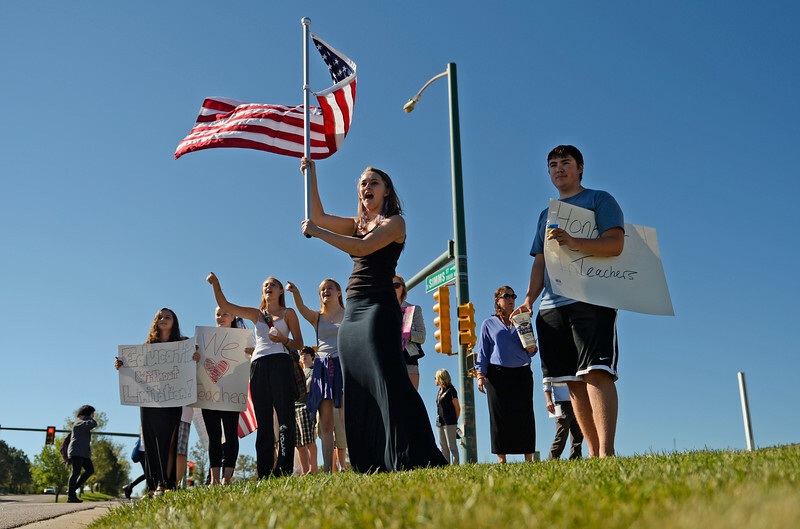 Several suburban cities just west of Denver, Colorado saw a wave of protest against the efforts of Jefferson County’s school board to censor AP U.S. History classes. Conservative members of the county school board urged a review of the curriculum, declaring: “Materials should promote citizenship, patriotism, essentials and benefits of the free enterprise system, respect for authority and respect for individual rights. Materials should not encourage or condone civil disorder, social strife or disregard of the law.” This came after attacks on the present curriculum came from the Texas State Board of Education, as well as the Republican National Committee, who denounced it as revisionist and anti-American. These moves reflect growing fear from big business’ allies over the threat of radical movements emerging among young Americans. And, as the protest movement showed, they’re completely right to be scared! This attempt spectacularly backfired as students and teachers fought back. Awareness and outrage spread after hundreds of the students themselves initiated walk-outs at several high schools across the county. This inspired a wave of action by many teachers, calling in sick en masse, forcing two high schools to close. Sensing the strength and unity of public opposition, and likely taken off guard by the swiftness of the movement, the school board quickly abandoned the most disturbing language of the measure. This is yet another illustration of the power of ordinary people to sway the outcomes if we organize and act boldly. The fight is not over, however, as the school board decided on a “compromise,” which would continue with their plan to review the curriculum, though now with the inclusion of some teachers, students and board-appointed community members on the review committee. While these events in Colorado have brought the public education system back into the spotlight, they represent just the latest episode of a determined and vicious siege that arrived with the rise of neoliberalism in the 1970s. For example, corporate lobbies like ALEC and the Heartland Institute are currently fighting tooth and nail to ensure that K-12 science classes teach “balanced” climate science, meaning that actual scientific consensus is “balanced” by giving equal credence to climate change denial. At universities, student tuitions are forced to bear greater and greater portions of the financial burden, as federal and state funding dries up, making higher education increasingly unaffordable for many Americans. Education is increasingly structured around meeting the needs of big business, rather than what students need to reach their full potential. But the passionate spirit of resistance in Jefferson County is not isolated either. This type of uprising in defense of education is also on the rise, as demonstrated by the Chicago Teachers Union massive strikes and the Seattle teachers’ boycott of standardized tests in 2012, just to give two examples. History, if we are able to study it, shows us again and again that when working people take the task upon ourselves and come together in unity and defiance, we can change our lives for a better future.